I made almost $200,000 in profits last month, part-time, trading penny stocks. Now, if you ever become a client of mine, the first thing I’ll tell you is don’t copy my trades. I trade real money to prove to you what I’m teaching works. That said, my value is the education NOT the trade ideas. If you learn how these trades work, manage risk, and take profits, then you’ll be able to write your own ticket too. I prefer to earn while you learn. That said, the Polar vortex must have swallowed most of my trolls up, as they’ve been awfully quiet of late. Now, despite the month of January behind us, there are learning lessons we can take from it. Figure out which trading strategies worked and which didn’t. Ask yourself questions like: Are my stops too tight or loose? Am I overtrading or sticking to the game plan? Learn about yourself, and eventually, you’ll develop a style of trading that works. 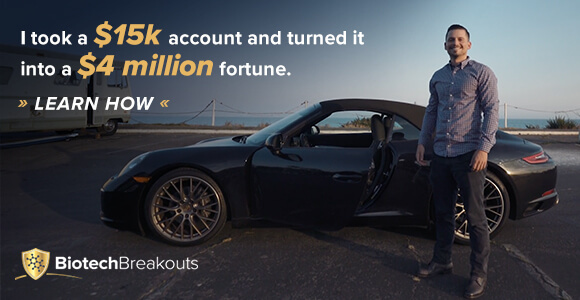 I’m no kidding…my star student, Kyle Dennis, has averaged over $1M in trading profits over the last four years. That said, with only one losing day in the month of January, there are several winners for me to pick out to share with you… here are my favorite. Since my three pillars: patterns, value, and catalysts are all scalable and repeatable, let’s look at some highlights. Rather than looking at dozens of trades with more, or less, the same pattern, we’re going to focus on three. If you don’t already know, I focus on small cap stocks, as well as penny stocks. For example, after the first week of January, rockets and Fibonacci retracements were all the buzz. You see, heading into January, we saw a lot of fish hook patterns – as many as a few hundred. However, as the market caught a bounced… naturally, the number of fish hook patterns dwindled, while the number of breakouts (rockets and Fibonacci retracement) spiked. In the chart above, you’ll notice the iShares Russell 2000 ETF (IWM) had a nice run higher after bottoming out in the last week of December. For those who don’t know, IWM serves as the barometer for small cap stocks, and if you want to trade these stocks… you should be mindful of the pattern. The blue curved line is known as the fish hook. Notice the sharp drop, followed by a rebound… small cap stocks tend to catch a nice run up after they exhibit this pattern. Well, during this period, fish hooks were very prominent. If you look at the chart on Veritone (VERI) and compare that with IWM, it’s pretty similar right? Well, my thinking was VERI could break above $5. I was taking profits the day after it had a positive catalyst. Keep in mind there was another reason why I bought VERI – in addition to the fish hook pattern, potential catalysts, and value – the relative strength index (RSI). This stock has been beaten down, and when the RSI reached oversold territory and crossed back above, coupled with the fish hook pattern… I knew it was going to be a high-probability setup. When the IWM was trending higher, I was looking for breakouts and Fibonacci retracement trades. Here’s a look at the daily chart of Energous Corp. (WATT). If you notice the blue horizontal lines and how WATT did not break below the $6.50 area in late January. Well, this let me know this stock was taking a breather and could run higher. Once WATT held and started to catch a bounce, it was time for me to start buying. Now, I liked WATT around the $7 area because it gave me confirmation this stock could retest its recent highs. Well, just one day later, the stock was up 7%, and I was locking in $5,300 in profits. Remember, this was a time when IWM was raging and rebounding from its lows. Again, this was when I was looking for breakout trades with value and potential catalysts. Check out this 2-hourly chart on Federal National Mortage (FNMA). Once the stock broke out, this was a classic rinse-and-repeat pattern. If you look at FNMA, this stock doubled in just a few weeks… typically, when stocks have a massive runup, pull back and start to trade in a tight range, it signals to me they could continue much higher. You’ll notice two trend lines (the orange lines) converge – forming the bull pennant. You might hear me refer to this as the “rest stop” sometimes. I call the initial momentum from the $1.10 area to $2.05 the start of the road trip. Once the broke above $2.05 (its recent high), I figured the stock could continue on its road trip… which it did. In addition to this bullish pattern, there were some catalysts in play. For example, in 2012, the U.S. Treasury created a “net worth sweep” in FNMA – a government-sponsored enterprise (GSE). Now, what does that exactly mean? Well, as long as the net worth sweep is around, FNMA’s profits flow right to Uncle Sam. Consequently, FNMA would not receive any credit for paying back the government’s investment. That’s not a good business model for the GSE. Now, the catalyst here was the fact that FNMA could get out of government conservatorship. In other words, it could generate value for its investors. 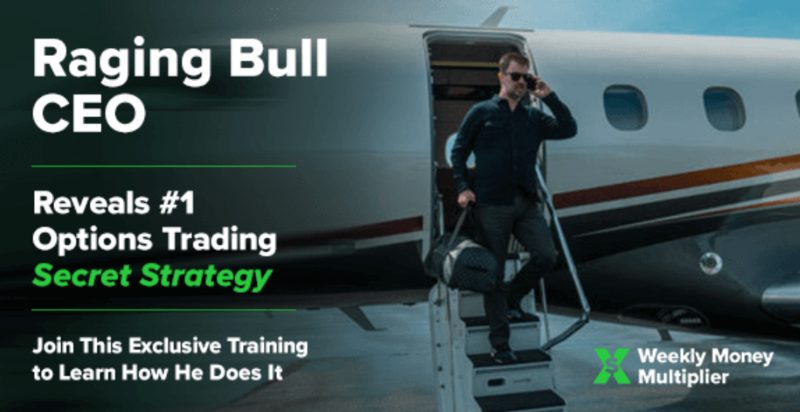 ￼As you can see, all you need to do is understand three patterns, potential catalysts, and how to find value… the rest is about planning and having the mindset of a millionaire trader. Look, insanity is doing the same thing over and over while expecting different results. If you want to improve, and potentially double your trading account in a month like I did, you’ll have to put in some study time. However, don’t overwhelm yourself. Embrace the journey, and believe in the process. If you’re looking for some further inspiration, make sure to check out my latest eBook, Making of a Millionaire. Jason, did you make note of any particular catalyst for WATT?